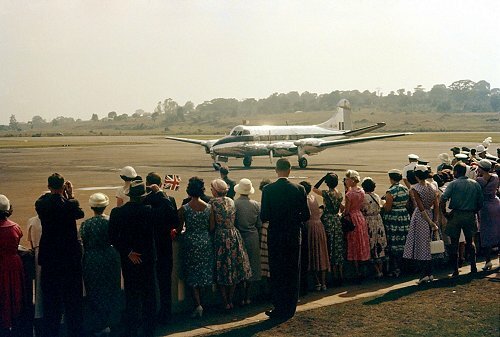 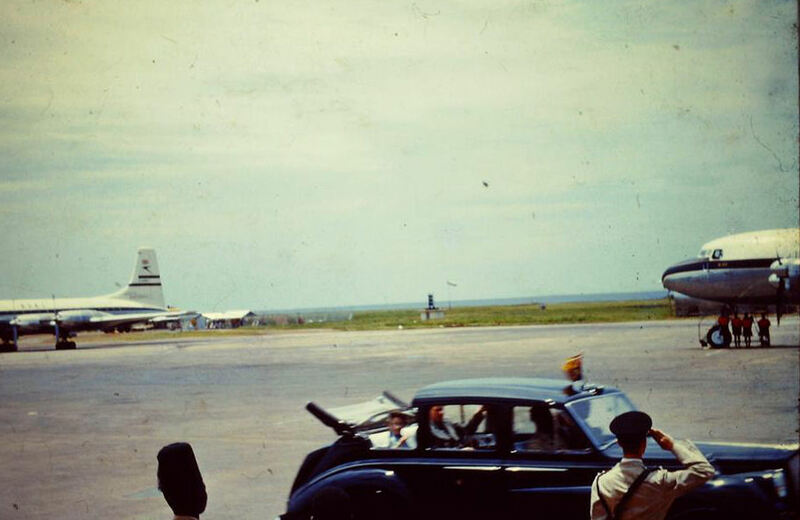 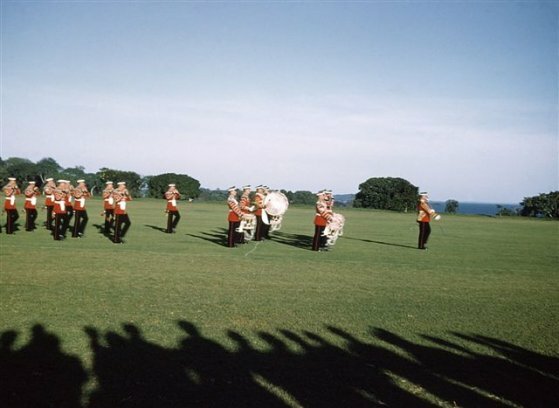 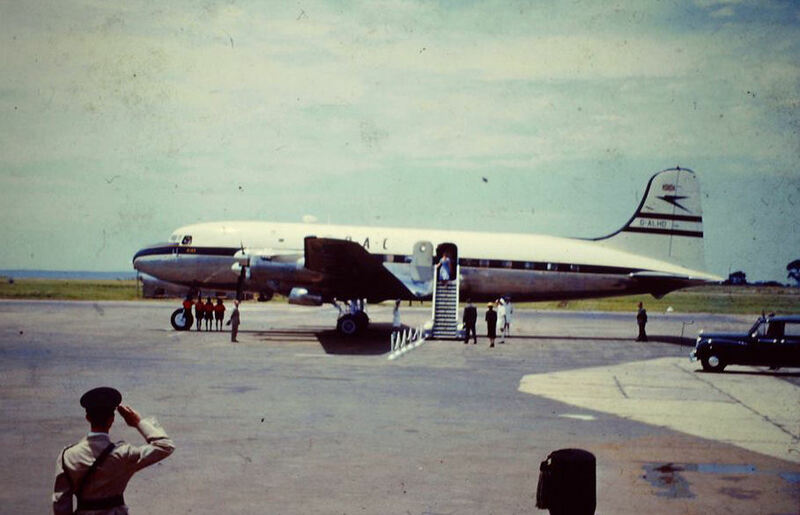 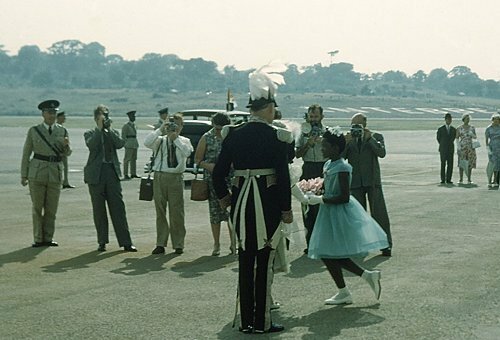 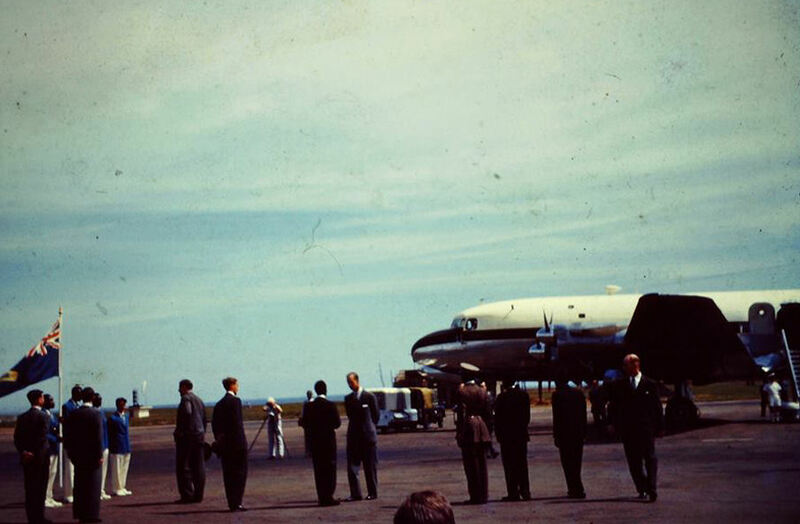 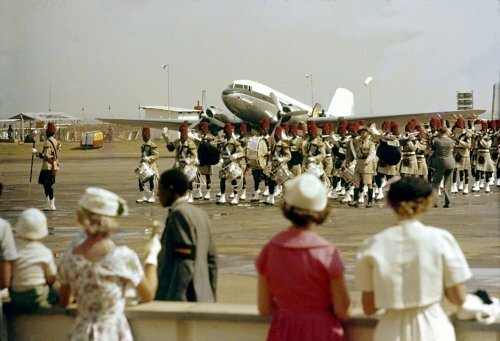 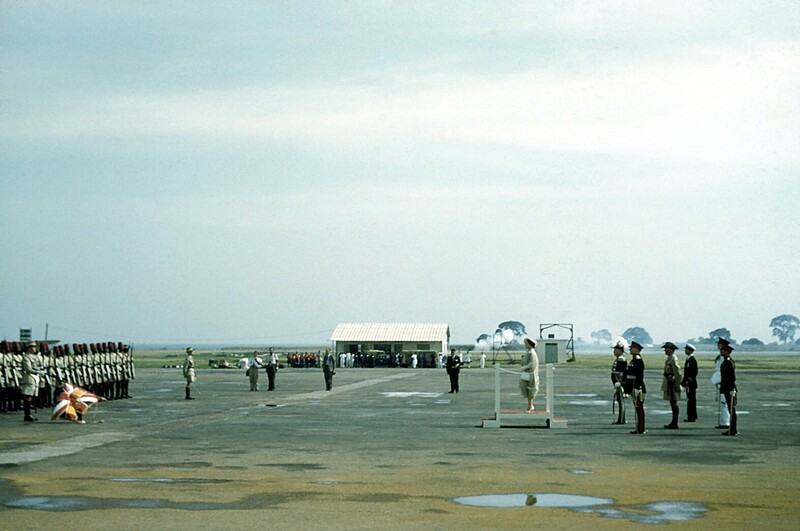 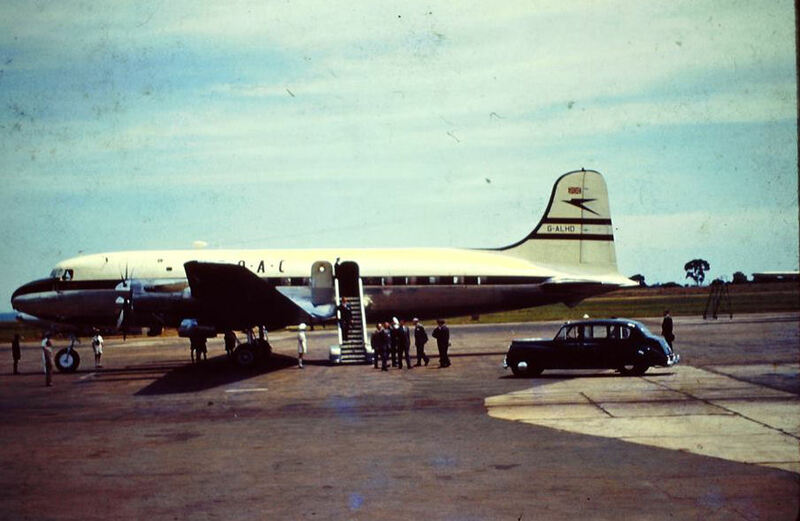 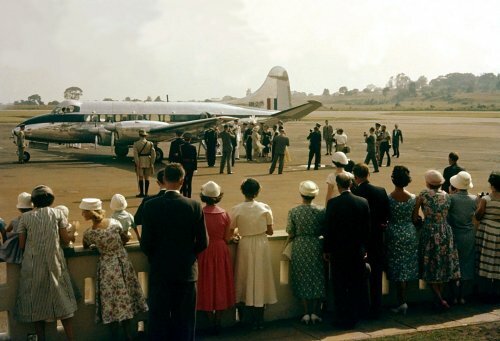 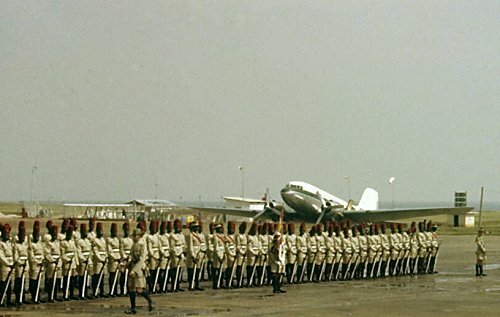 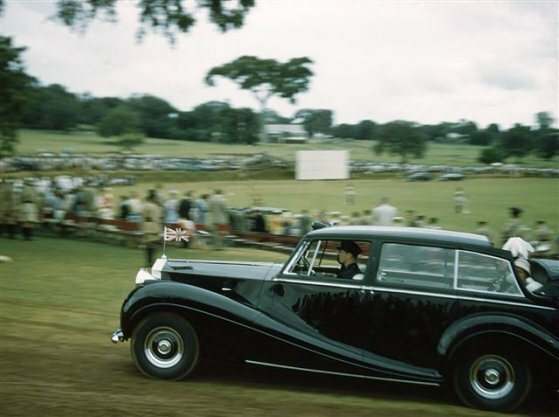 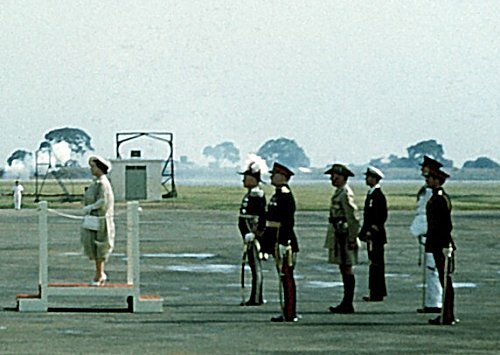 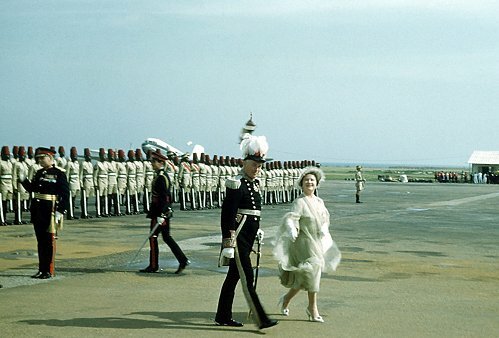 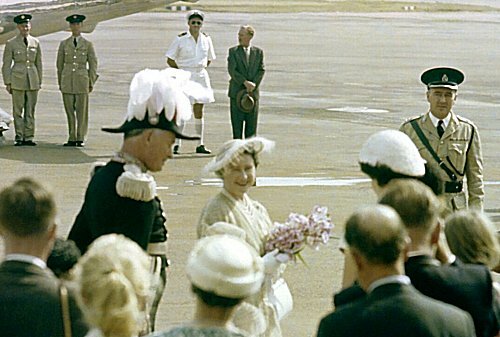 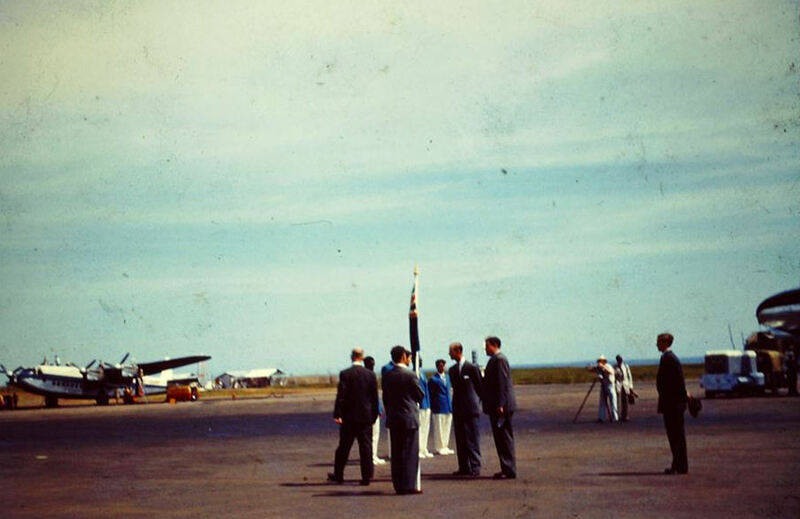 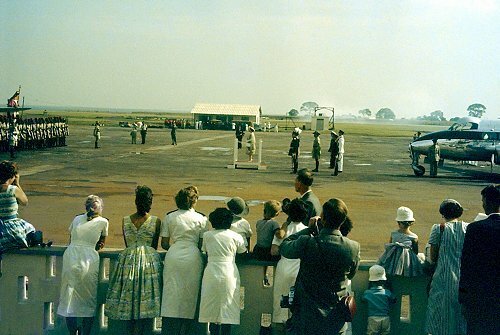 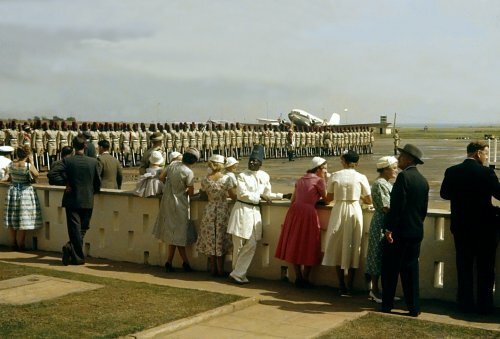 The following photographs supplied by Peter Davanzo show Princess Margaret and Prince Philip on separate and less than formal visits to Entebbe. 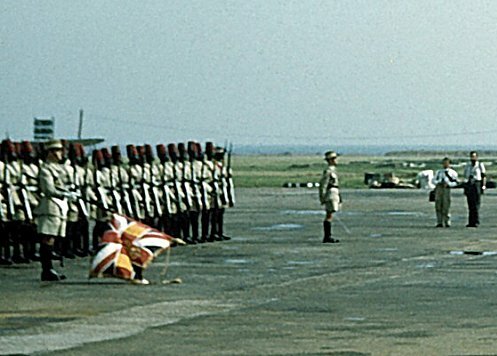 The Royal Salute, Present Arms . 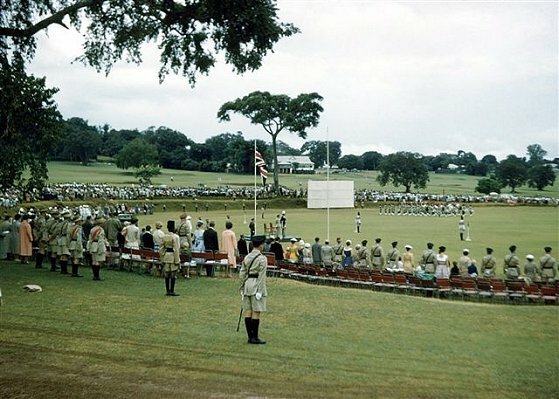 . .
Entebbe celebrates the Queen's Birthday on the Lakeside lawns, specifically the cricket ground - PHOTOs Daphne Seager. 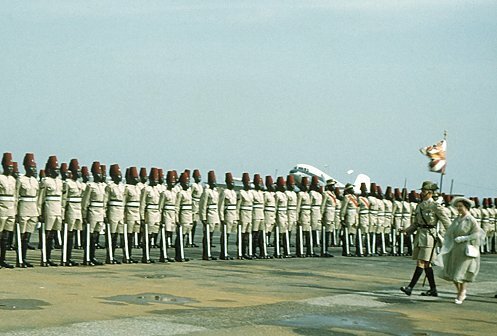 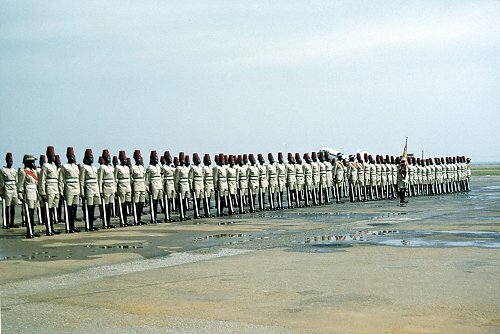 Note the fez worn with dress uniform by Uganda Police which replaced the everyday blue plastic helmets. 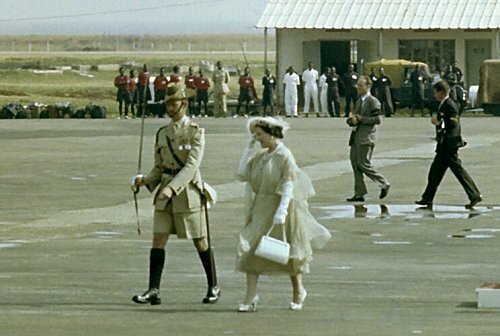 This photo would seem to have been taken before 1962 when the smart long sleeved police jacket worn by constables was replaced with a short sleeved version. 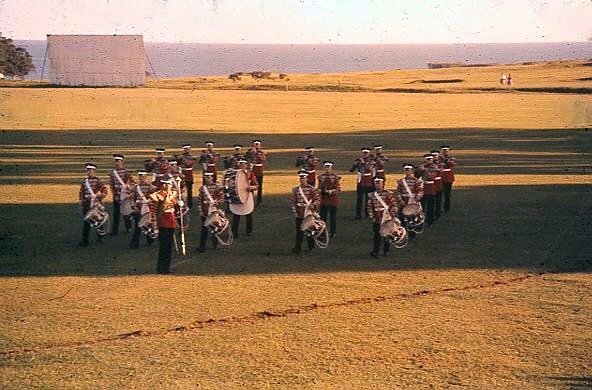 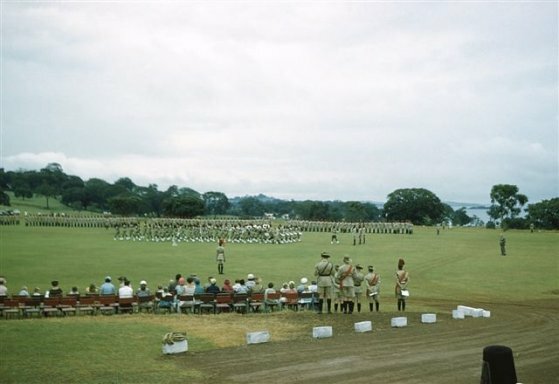 The personnel behind the spectators in the above photograph are from the Kings African Rifles, later the Uganda Rifles, based in Jinja. 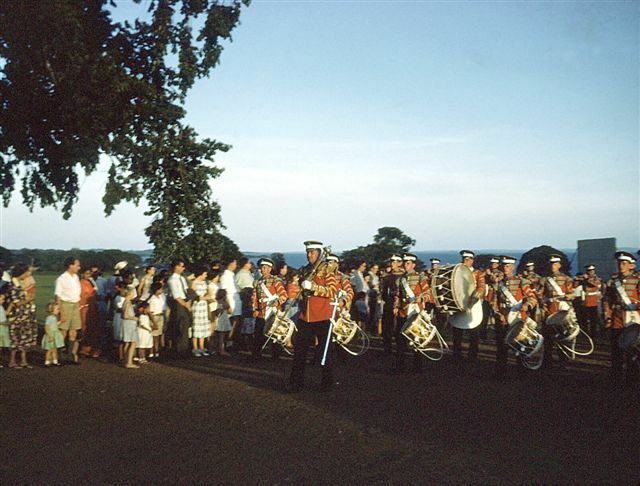 Judging by the uniforms, these pictures seem to have been taken at the same parade and the lengthening shadows set the time sometime after 1800 - PHOTOs (left) Daphne Seager, (right) John Garside The British army personnel had probably been flown in from Nairobi as no British troops were stationed in Uganda. 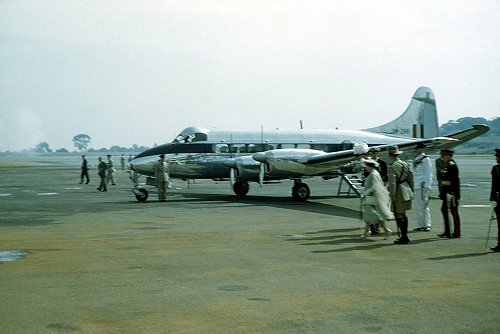 Bases in Kenya were at Gilgil and Kahawa, Nairobi.